Hair is the jewel of body. Loss of hair is one of the most common problems in women and men today. It is more painful for women because loss of hairs among them can be seen clearly and breakage and damage of hairs is a problem which has no instant solution. But hairs can be prevented from being damaged. After you wash your hairs do not use towel on them. Although towel is a great absorber but it dehydrates hairs by absorbing too much water from hairs which anyway leads to breakage of delicate strands and then split ends. Instead of towel, use either your hands or you’re your t-shirt. It will soak only needed moisture from hairs and won’t leave them dehydrated. Just for the sake of fashion we use very fine teeth brushes but they are equally harmful for hairs because they cause breakage and damage. Boar bristle brushes may seem a bit old fashioned but they really are very gentle on hairs while brushing and take care of your delicate strands. They make you hairs look shiny because they help in evenly distributing oil from root to tip. They give milder touch to hairs. You might find it something odd but you won’t believe that braiding is in trend. Moreover it will prevent your hairs from getting damaged and breakage. At night while sleeping fewer hairs will come in contact with pillow that means less hair fall and breakage. This will also stop hair tangling. One more thing you will be able to sleep with comfort at night because of fewer disturbances from hairs. Don’t leave your hairs wet for more time as wet hairs are more prone to breakage when not combed with a wide tooth brush. So let your hairs dry before styling your hairs either by natural drying or by blow dryer or flat iron it. 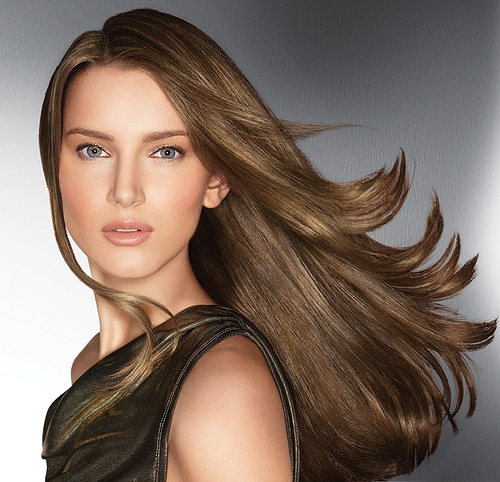 If possible then avoid blow dryer and flat ironing as it makes hairs dry and rough. Comb your hairs only when most of the moisture from hairs is out. One must pay attention while choosing a pillow. Most of us use cotton pillow while sleeping but it leads to hair damage and breakage because cotton pillow absorbs moisture from hairs and skin. So instead of cotton pillows use silk or satin pillowcases. They are very smooth which keep hairs tangle free and maintains the moisture. One more thing to keep in mind is to have healthy and balanced diet. Use mild shampoo and conditioners. Apply hair oil whenever you get time. Hope these tips will help prevent hair damage and breakage.